Naresdumri Road is the historic heart of Hua Hin, lined with wooden shop-houses, ending at Span Plah fishing pier. This is a great spot to observe local life, go for a stroll, or watch the sunrise and sunset. 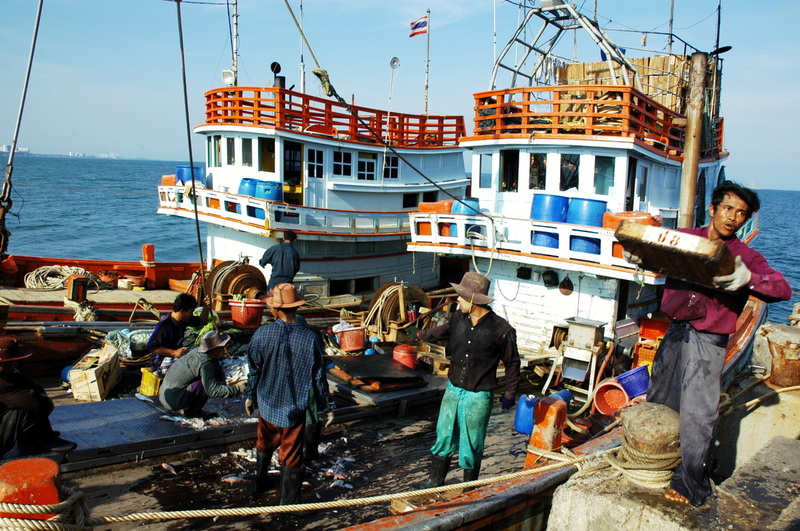 Traditional Thai fishing boats still bob in the ocean, and larger, open sea vessels stop by to unload their catches daily. 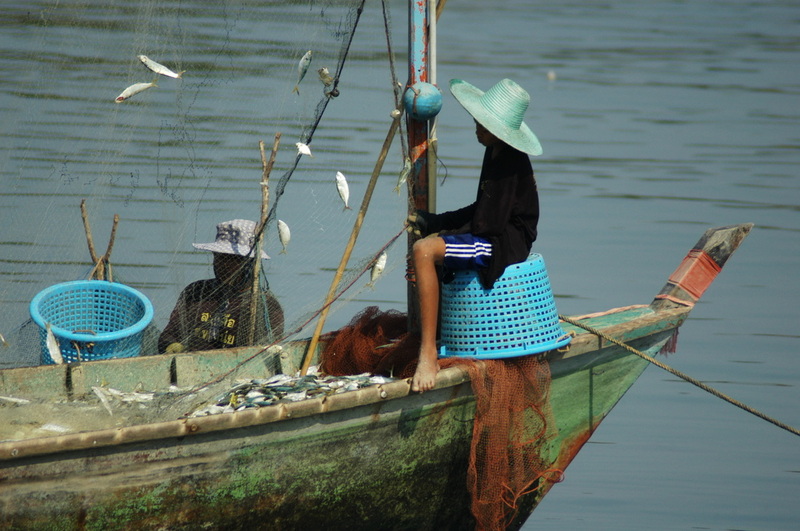 In the morning and late afternoon local community members clean squid in the shade.